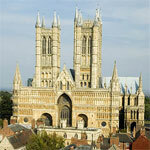 Find below a list of what's on, and when during your visit to Lincoln! Love theatre, music or film? Take a look at the venues below to see what's on during your visit. The Engine Shed - The University of Lincoln gig venue, also hosts other events. What's on in Lincoln - info on everything from Farmers Markets to Open Days!